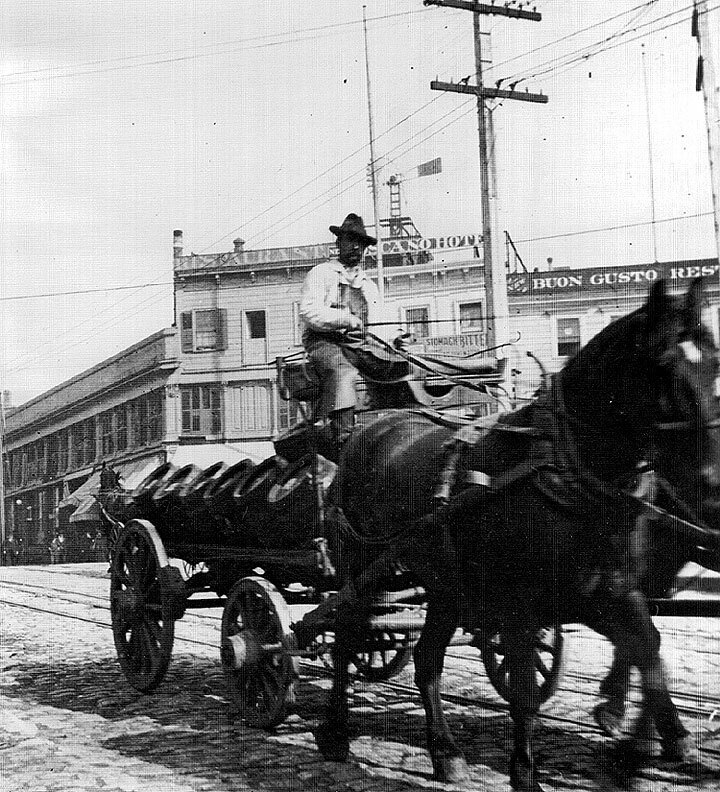 Beer deliverymen in San Francisco. The brewery workers were among the more militant in the 1880s. Beer barrels being worked on. JUNE 1886: Brewery workers union formed among mostly socialist German workers, to resist the prevailing 16-18 hour workday. 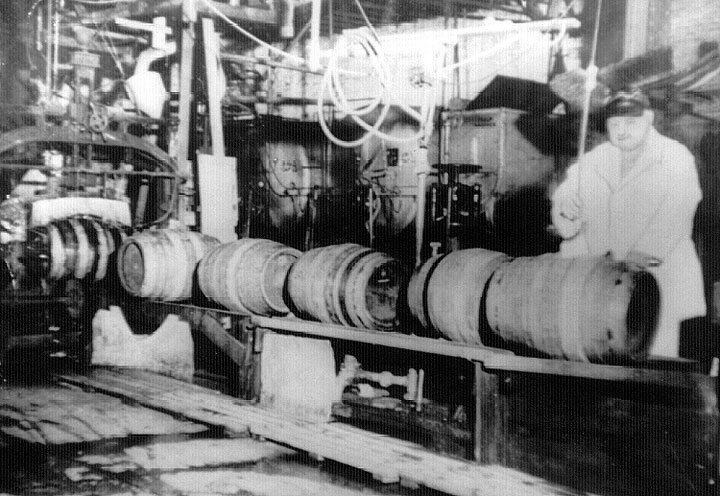 On July 22, 1886 breweries admitted defeat and gave in to union demands for FREE BEER, the closed shop, freedom to live anywhere for brewery workers (who had up until then typically lived in the brewery itself), a 10-hour day, six-day week, and a board of arbitration. MARCH 26, 1888: Having broken the union everywhere except San Francisco during the previous two years, the National Brewer's Association issued a manifesto against unionism. 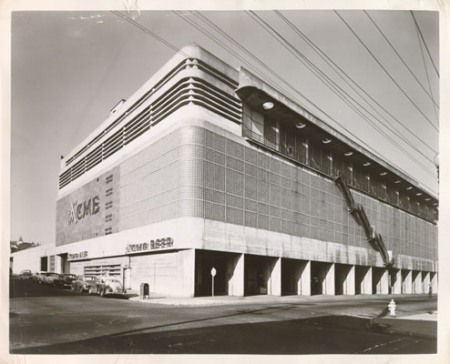 The national organization ordered its affiliated San Francisco members to fire union workers and replace them with scabs, which led to a 9 month strike. 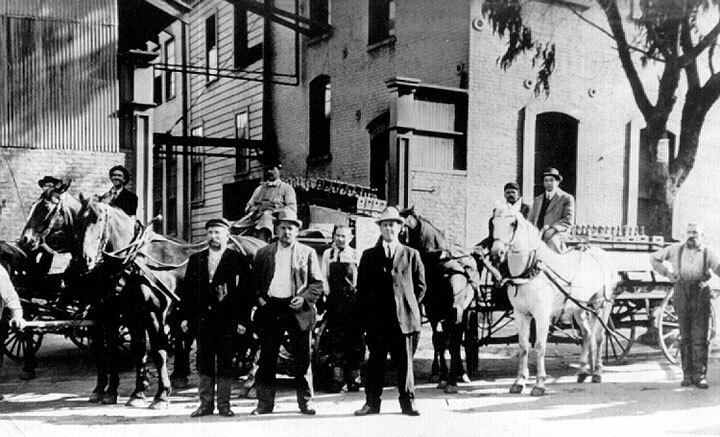 During the strike, two union breweries, the Fredericksburg of San Jose and another in Sacramento, were prospering wildly, which helped the San Francisco boycott to hold and induced the Brewers' Association to capitulate on June 5, 1889. 1890s: Under Alfred Fuhrman, the brewery workers disaffiliated from their national union, which led to the suspension of the Federated Trades Council for refusing to expel the now-independent brewery workers. 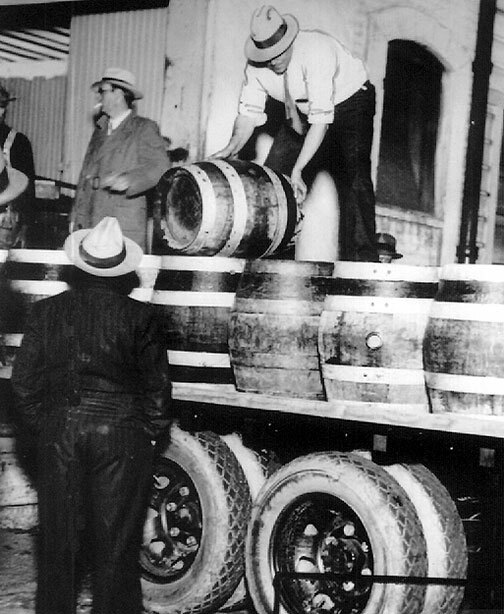 Brewery workers roll out the barrels a couple of years after the end of Prohibition, c. 1935. 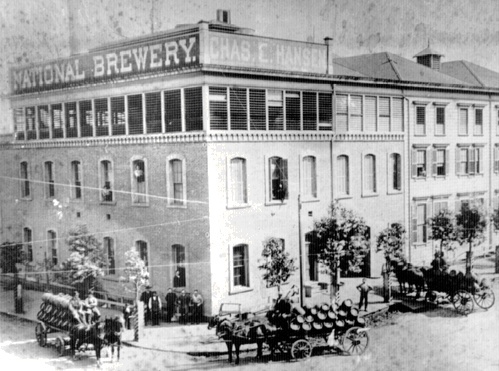 The National Brewery was large San Francisco brewery in the 19th century. 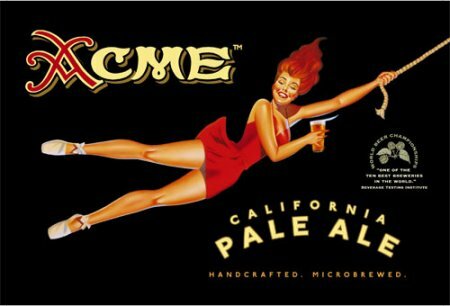 Acme Brewery on Fulton Street. 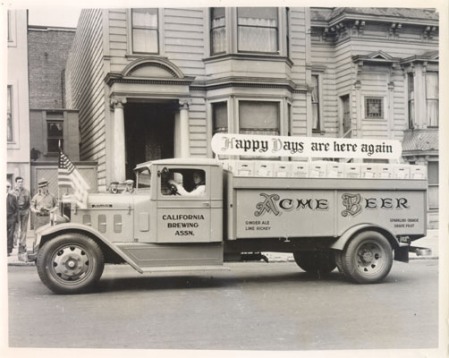 Happy Days Are Here Again, proclaims Acme Beer truck in 1933, after the end of Prohibition. 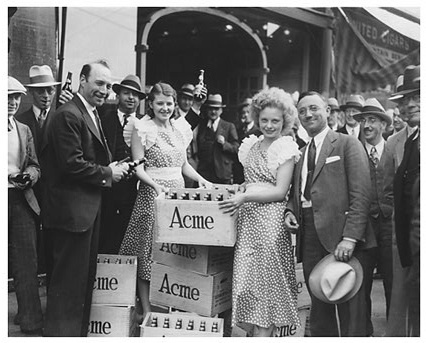 Celebrating repeal of Prohibition, 1933. 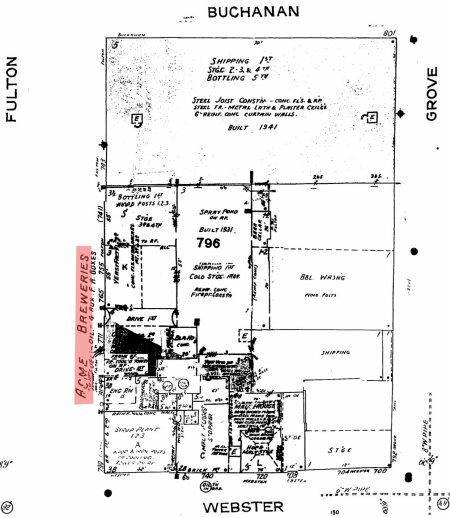 1950 Sanborn insurance map showing location of Acme Brewery, between Fulton and Grove, Buchanan and Webster, in the Fillmore. 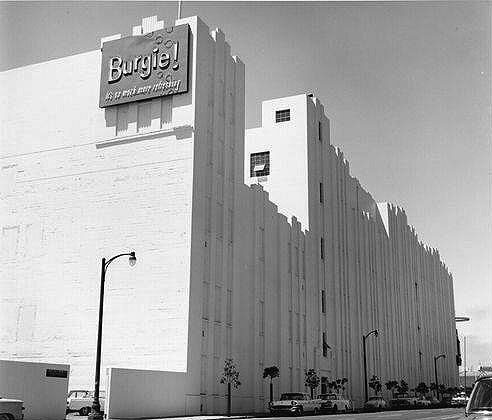 Burgiemeister Brewery in 1964, later Falstaff Brewery, at 470 10th Street, site today of Costco.